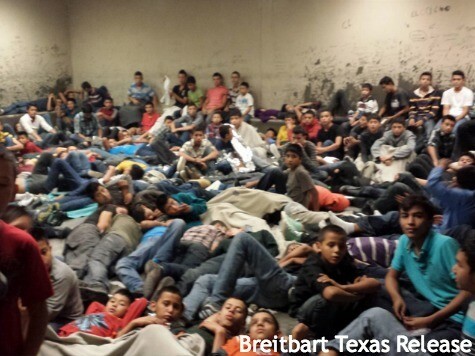 HOUSTON, Texas–An elite, law-enforcement sensitive El Paso Intelligence Center (EPIC) intel report from July 7, 2014 was leaked to Breitbart Texas and reveals that homicide rates in Central America suggest violence is likely not the primary cause of the surge of thousands of unaccompanied minors and incomplete family units illegally entering the United States. 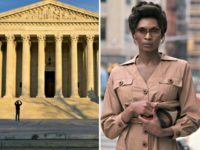 The EPIC report indicates that the belief among the illegal immigrants that they would receive permisosand be allowed to stay was the driving factor in their choices to come to the United States and that the crisis will continue until ‘misperceptions’ about U.S. immigration benefits were no longer prevalent . The report also states that the migrants cited Univision and other other outlets as having shaped their views on U.S. immigration policy. 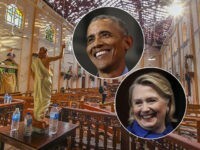 Another implication of the report is that family members already in the U.S. are encouraging the minors to come and organizing the travel with smugglers. EPIC is a widely respected intelligence analysis group and was initially staffed by the Drug Enforcement Administration (DEA). Agencies currently represented at EPIC include the Drug Enforcement Administration; Department of Homeland Security; Customs & Border Protection; Immigration & Customs Enforcement; U.S. Coast Guard; Federal Bureau of Investigation; Bureau of Alcohol, Tobacco, Firearms and Explosives; U.S. Marshals Service; Department of Transportation; Internal Revenue Service; U.S. Department of the Interior; National Geospatial-Intelligence Agency; U.S. Department of Defense/IC; Joint Task Force-North; Joint Interagency Task Force-South; Texas Department of Public Safety; Texas Air National Guard; National Guard Counter Narcotics Bureau; Department of State; Bureau of Indian Affairs; Union Pacific Railroad Police; Kansas City Southern Railroad Police; El Paso Police Department; and the El Paso County Sheriff’s Office. (U//LES) In late May, the U.S. Border Patrol interviewed unaccompanied children (UAC) and migrant families apprehended in the Rio Grande Valley. Of the 230 total migrants interviewed, 219 cited the primary reason for migrating to the United States was the perception of U.S. immigration laws granting free passes or permisos to UAC and adult female OTMs traveling with minors. Migrants indicated that knowledge of permisos was widespread across Central America due to word of mouth, local, and international media messaging–prompting many to depart for the United States within 30 days of becoming aware of these perceived benefits, according to the same reporting. (U//LES) A majority of migrants interviewed also noted that they had encountered family units, consisting of a mother and child under the age of 18 during their journey to the United States and that the families had indicated they planned to surrender to U.S. authorities because they were informed that they would likely be released. (U//LES) EPIC assesses homicide trends and migrant interviews suggest violence is likely not the principal factor driving the increase in UAC migration. 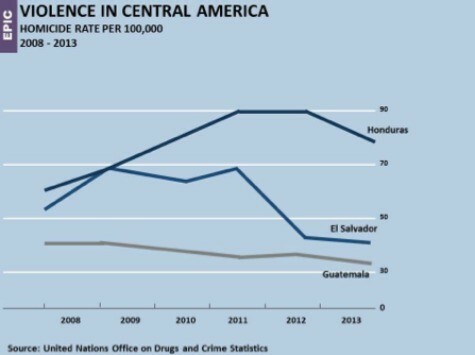 While CBP data from early fiscal year 2011 indicates a steady increase in OTM and UAC migration, United Nations Office on Drugs and Crime (UNODC) statistics– within this same timeframe– show a decline in per capita homicide rates in these three countries; El Salvador saw the sharpest decline, followed by Honduras and Guatemala, respectively. … Migrants cited Univision, Primer Impacto, Al Rojo Vivo and several Honduran television news outlets for helping shape their perception of U.S. immigration policy. (U) Although EPIC lacks reliable reporting of Central American newspapers broadcasting the perceived benefits of U.S. immigration policies, several U.S. media outlets since June 2014 have identified Central American newspapers that have enticed minors to travel to the United States. For example, Honduran and El Salvadoran press have reportedly advertised the DACA policy, accommodations for detained UAC, and the promise of reunification with family members in the United States. (U//LES) U.S. Customs and Border Protection (CBP) also notes that a large number of migrants interviewed claimed family members in the United States encouraged their travel because the U.S. government would cease issuing permisos after June 2014. 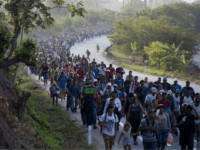 (U//LES) U.S. Border Patrol officials report that the majority of migrants interviewed in late May indicated that they made arrangements with smugglers in their respective countries through the assistance of family members and friends in the United States. 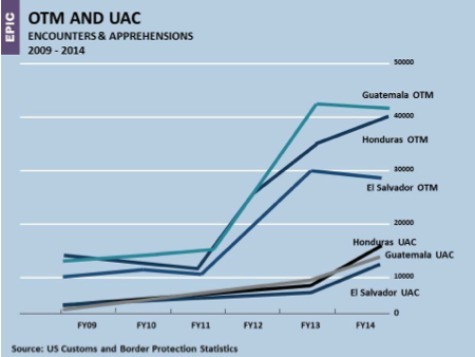 (U//FOUO) EPIC assesses that UAC flow to the border will remain elevated until migrants’ misperceptions about US immigration benefits are changed. We further judge that this process could take the remainder of 2014 given the time needed for bi-lateral coordination efforts–such as information and enforcement campaigns in Mexico and Central America–to take hold. 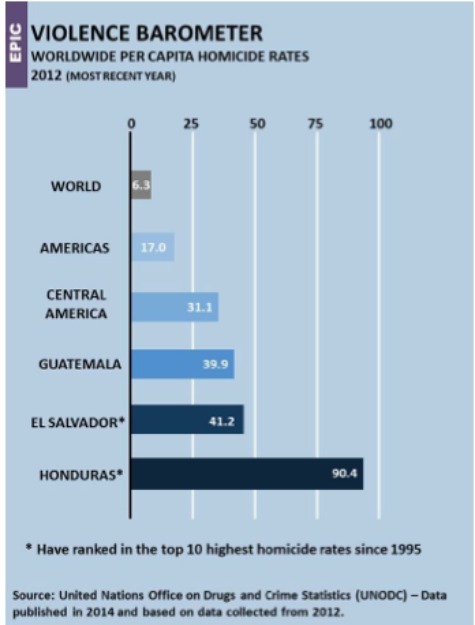 Nonetheless, traditional underlying immigration factors, such as family reunification and poor socioeconomic conditions, will continue to drive alien flow–including minors–from Honduras, Guatemala, and El Salvador. Breitbart Texas provides a redacted version of the leaked intel report below. All redactions were made by Breitbart Texas. The redactions are limited to source material citations, names, and contact information.